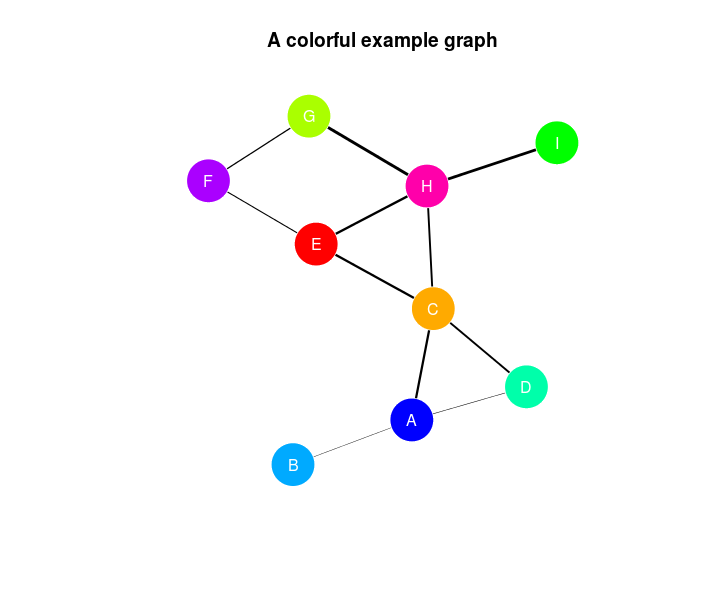 R’s igraph package provides a simple and flexible set of utilities for working with graphs. In this post, we’ll use this package to animate the simulated spread of a disease through a network. # vector of the pairs of vertices sharing an edge. G$name    <- "A colorful example graph"
E(G)[v %->% daily_contacts]$color <- "red"
The function spreadVirus will return an ordered list of graphs representing the discrete states of the model as the virus spreads. 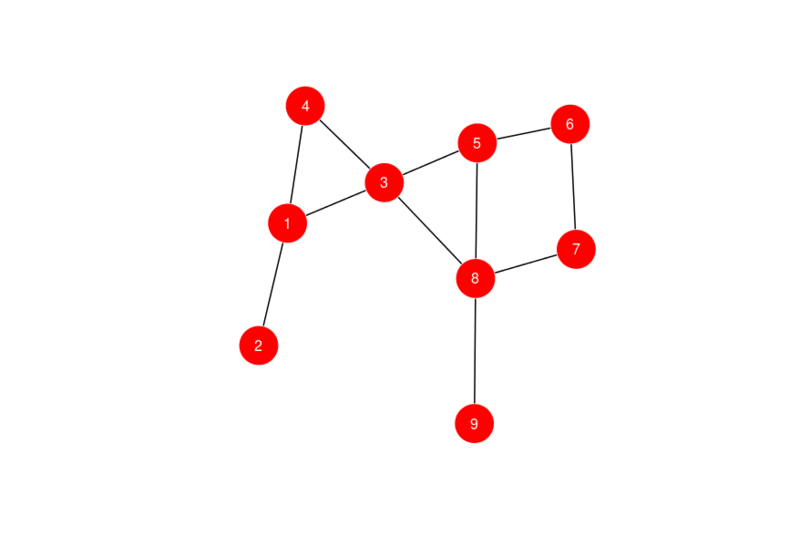 We’ll demonstrate the use of this function on a simple directed graph. A directed graph is a graph where edges are “one-way”, so a directed edge from nodes $X$ to $Y$ only allows information to pass from $X$ to $Y$ and not from $Y$ to $X$. This is a very simplistic model and it does not, for example, take into account the importance of time dynamic effects in the virus spread. Thanks to the flexibility of igraph, however, it is not difficult to extend a basic simulation like spreadVirus to include much more complex effects. We should note, however, that although this implementation is very easy to understand, it is not very efficient. The heavy use of loops will be quite slow when we start working with large graphs. Though we might gain some efficiency through vectorization or other optimizations, for running larger simulations we would probably want to port this routine to another platform like C++. Nevertheless, the strength of R’s igraph for quickly building and testing a prototype should be apparent from this example. To leave a comment for the author, please follow the link and comment on their blog: quantitate.